Saddled with niggling knee-cap injuries, Norman Tan had stopped jogging for a year and restricted himself only to brisk walking. 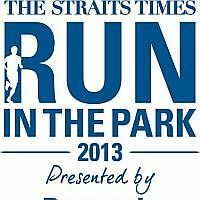 But yesterday, under the watchful eyes of the coaches of The Straits Times Run in the Park 5km clinic, the 55-year-old successfully completed a pain-free 3km jog. Said Tan, who works in the property industry: "I've had a long break from jogging and have been thinking about coming back. "But I've been recharged today and been given a boost. I've learnt to take it at my own pace, and I feel very good." He was among 60-odd joggers who attended the first of three clinics organised by The Straits Times to help participants prepare for the Run in the Park, on Aug 25 at Punggol Waterway. Conducted by Anne Qi Hui, winner of this year's Sundown half-marathon, and national head coach for middle and distance running Ghana Segaran, yesterday's clinic was held at the Bishan-Ang Mo Kio Park. Jusky Ng, 51, who will be attempting her first 10km run at the Aug 25 race, said: "I really want to compliment the coaches for their sincerity. They were really keen to share their expertise and it really inspired us. "I'm a beginner and sometimes I may pick up the wrong things. So the tips that they have shared with us today are very important." Catering to the majority of new runners, Qi and Ghana introduced the class to warm-up routines, basic running postures, striding techniques and cool-down exercises. They also led the group for a 3km jog, before they were treated to a refreshment break courtesy of the manufacturer of the isotonic drink 100Plus. Said Qi, who holds the fastest Singapore women's 10,000m time of 38min 9sec: "It's so positive to see so many enthusiastic faces and passionate people out here. "It also motivates me and I'm really happy to share whatever knowledge I have." Agreed Ghana: "I think it has been a fruitful experience for the participants. So many of them were asking questions and in the end they were asking for more clinics to be organised." The importance of a good warm-up was not lost on participant Eric Woon, who took that advice away as his most important tip of the day. Said the 52-year-old, who will be competing in the 15km: "The warm-up exercises were something new to me. I found it very useful as it made me sweat and will prepare you (for) the actual run." There are two more clinics lined up. Singapore's top marathoner Mok Ying Ren will conduct a 10km clinic next Saturday, and health and fitness specialist Functional Training Institute will host a two-hour workshop on the importance of core strength and dealing with injuries on Aug 18.